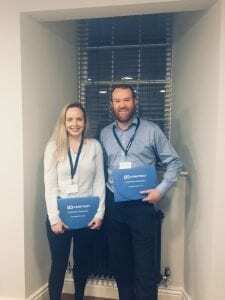 Edinburgh Construction Recruitment firm Venesky-Brown is joining a nationwide campaign to encourage people to consider a career in the construction sector, which is expected to create over 220,000 new jobs in the next 5 years. 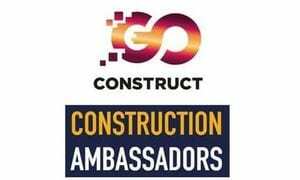 The company is supporting the Go Construct campaign that is set to encourage more people from a range of backgrounds to consider a career in the industry and help them to find a role which matches their qualifications, skills and interests, dispelling some of the old fashioned myths that people still associate with the industry. A Construction Ambassador is someone who inspires potential new entrants about the industry and is able to convey what it’s actually like to work in construction. By reaching out to local communities and highlighting the many fantastic opportunities available within construction they can help to inspire the next generation of new entrants. In support of the campaign Venesky-Brown will be visiting primary schools across the UK along with attending recruitment and career fairs to increase knowledge and awareness of the different roles in construction. As well as an industry wide campaign, Go Construct’s web portal is a ‘one stop shop’ for people to find out about the many different career options in the construction industry and how to start their journey into a successful new career. “There are thousands of opportunities for successful, long term rewarding careers waiting to be seized. Construction already accounts for 2.6 million jobs in the UK but we need to recruit over 220,000 people over the next 5 years. Anyone who is interested in finding out more about a career in construction should visit www.GoConstruct.org. This entry was posted in People on May 21, 2018 by Aga.